As a small company we are able to build all of our filters into one off systems complete with as much ancillary equipment as needed. 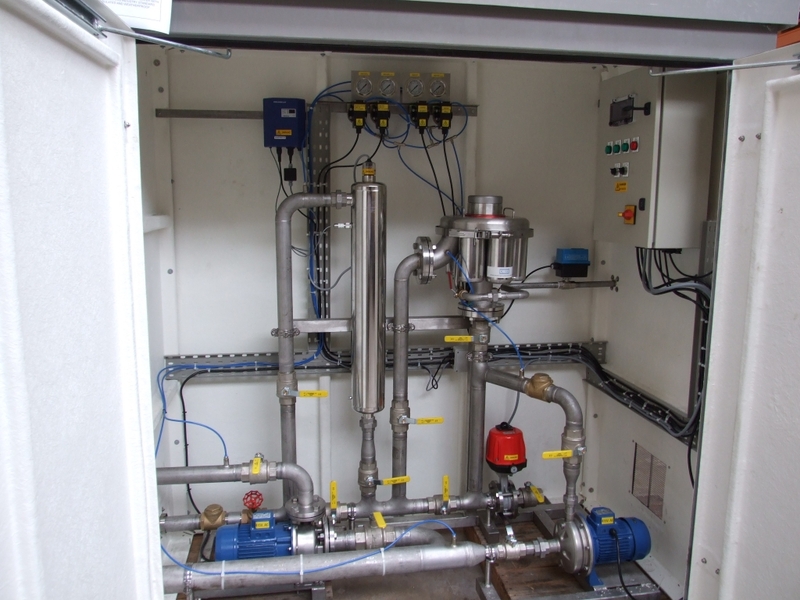 We are able to offer a large number of additional items to create a complete system, pumps, valves, actuators, pipework, disinfection systems, and all bolted together in a neat package with a single control system. The unit on the left is used to recycle surface water used at a large UK airport. It was fitted within a GRP enclosure to keep out the weather and unwanted intrusions. 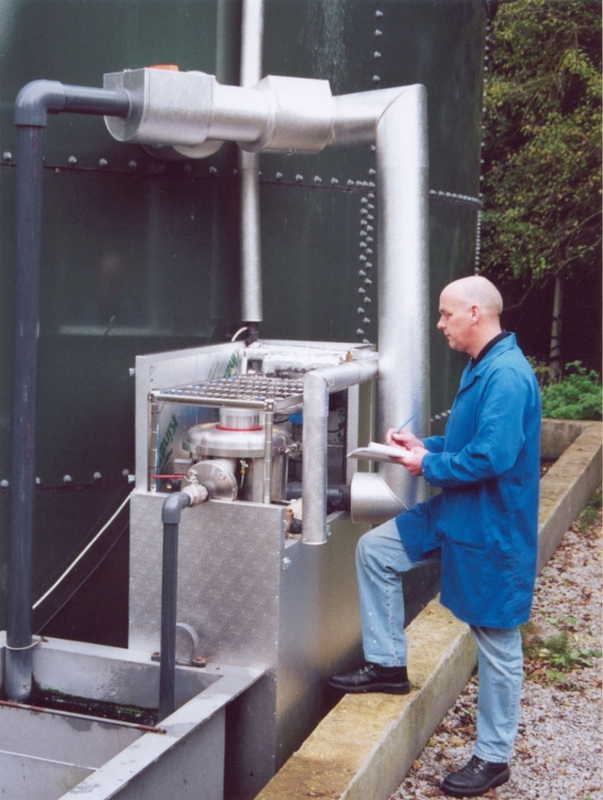 This unit was built for a drinking water system on a very remote site in Scotland. 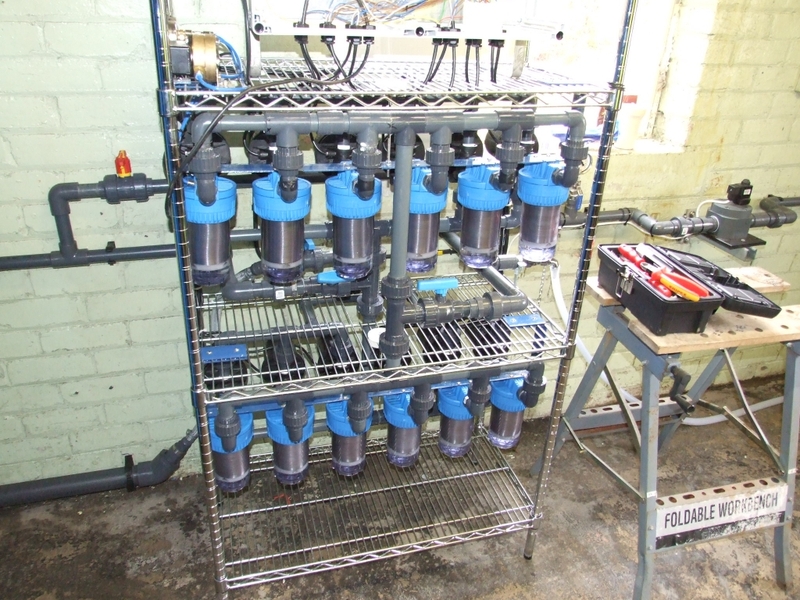 As the filter needed to clean the water down to 12 microns, it was clear a larger unit would not be cost effective, so a multiple system was the simplest option. Using 1" PVC pipework and a single control system, this filter was installed to protect a cryptosporidium filter, which otherwise would block very quickly and stop the flow of clean water. This unit shows very little, as much of it is hidden behind protective panels. The filter was put in to protect the company from going over their effluent consent levels, and only switched on when solids loading got too high. It is made up of two pumps, with float switches, fitted into a tank at the bottom, two EasyClean Filters, at 200 microns to remove large solids, and then a Phoenix Filter at 50 microns to polish the effluent to an acceptable level. This unit was very cost effective. The whole package was less than the company was being told they would have to pay if they went over consent.